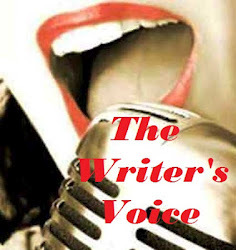 I'm sure by now most of you have heard of The Writers Voice, the amazing multi-blog, multi-agent contest hosted by Cupid, Brenda Drake, Monica B.W., and Krista Van Dolzer. It's basically The Voice for writers (and minus super cute Blake Shelton, but...oh well...). I've been looking forward to this since Cupid first mentioned it several weeks ago, but hadn't really planned on entering. BUT THEN- this morning, oh...the awesomeness that was happening on Twitter.....seriously- its contests like this that remind me what's so great about the writing community. First off, there are so many talented writers out there, and we get to see so many of them at once. Secondly, cheerleading is totally allowed. Now, I know that annoys some of you, but I am ALL OVER THAT. And lastly, it's one more shot for this book that I love so much, BETWEEN. So I changed my mind, sat at my computer hitting F5 like a crazy person, and entered as soon as that second entry window opened. Without further ado, here's the query and first 250 for BETWEEN. Enjoy! When Harper comes home to find her house cleaned out and her bags packed, she knows her life is about to change. She’s whisked off to enchanted Ellauria, where she’s thrown into the middle of her own bad-assed fairytale—complete with deranged fairies, beautiful boys, and creatures far more dangerous than any she's heard of before. In Ellauria, Harper learns that her entire life has been a lie. Her parents are not her parents; her brother is not her brother. She is a muralet—a direct descendant of Mother Nature. Hunted to the brink of extinction for their magical blood, Harper is the last survivor of the muralet race, and kept under close guard by the Fellowship, the group that protects the world’s “mythical” creatures from human discovery. Ellauria should be the safest place for her, but after a few attacks by supposedly banished creatures, it becomes clear that even the Fellowship can’t protect her anymore. When her best friend is taken, Harper knows his kidnappers won’t settle for anything less than blood – her blood. With a shaky grasp on the rules of her new world and an even shakier handle on her new powers, Harper will have to find a way to save her friend without ending up dead like every muralet before her. BETWEEN, a YA fantasy, is complete at 63,000 words. I was still standing in the doorway when Sam got there. I’d heard the loud thumping of the car stereo long before I heard the crunch of gravel beneath the jeep’s tires. He stood behind me and peeked over my head. That’s another annoying thing about Sam- for a twin brother, he’s entirely too tall. “She ironed the sheets,” he said, nodding toward the ironing board in the hallway. We could just barely see the front end of it, draped with the fitted corner of the pale yellow queen-sized sheets from the guest bed. "Alright Red," he said. "Let's think." He put his hands on my shoulders and pulled me backward, spinning me around to the front steps. Oh, I'm so glad you decided to join us! Best of luck!!! Love the voice in the query and first 250. Good luck. Oooh Megan, this sounds awesome! Good luck! So glad we both got into this! :-) Your entry looks great (the premise and the whole muralet thing is especially cool! ), and I love the name Harper! Best of luck, Megan--I'll be rooting for you! Oh! I remember this one. It sounds so interesting! Good luck, Megan. Glad you got in!!! Love it! Yay BETWEEN--good luck!! *Waves pom poms* Go Megan! Harper is one funny lady and BETWEEN is one badass fairy tale! You had me at bad-assed fairytale. :-) Love this first scene. Good luck!! Seriously, "bad-assed fairy tale" doesn't even begin to cover it. The world in this story is so fantastic, the query doesn't even begin to cover it. And the balance of hilarious and terrifying in this book is simply amazing. Coaches and agents, you want this one! GO BETWEEN GO! You all are ALL MY FAVORITES. I really like this. I hope you do well in the contest! This sounds wonderfully exciting, Megan. Hope a coach picks it! Good luck. Lol. That mom "granny-cleaning" scene is all me. Good luck! I seriously love this story! Bad-assed fairytale is right! Judges & coaches, grab this one while you can! This sounds like a lot of fun! Good luck!! Coaches, I know you WILL be choosing this one. I absolutely adore the "mom's cleaning" device. Awesome. I'm imagining that I will be able to read this sometime? I really like your opening, and your premise is so unique. Good luck! I love this opening! I've seen it before and I love it every time I read it. Good luck! Hey, will an agent please get this published so I can read it? Because, yes. Want. What a great first page! I love how you paint a portrait of the mom via her cleaning habits. I'm really intrigued by your pitch too. Good luck! I remember seeing your first 250 in Miss Snark's First Victim's SA contest last month. I was impressed by them then and I am impressed by them now! Good luck! Wow, this was an amazing excerpt! Love the humor and the relationship between the siblings; it's hilarious :) The little touches make it amazing too, such as the fact that she waits outside on the driveway. Nice job, and good luck! Hi Megan, I'm visiting your blog from the Writer's Voice Contest (entry #58), and I wanted to wish you the best of luck! I'm also now your newest follower, so: nice to meet you! Great query. I LOVE your 250. You have a great way of getting us to know your characters in such a short time. I lol'd at the granny-cleaning. You had me at bad-assed fairytale. <3 Good luck! Great first paragraph. Good luck! You had me at bad-assed fairytale. Good luck! He he. I loved how she could tell what's going on by her mother's cleaning. Good luck!